Members of the Adelphi University lacrosse and field hockey squads teamed up to help local nonprofit Garden Vines with a clothing drive. 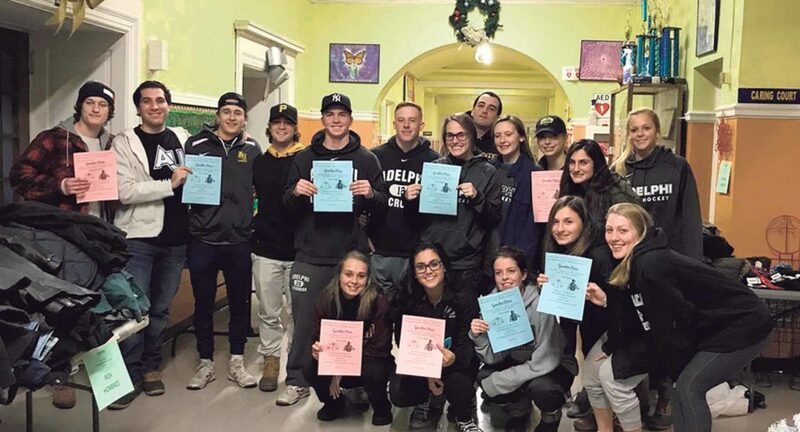 The Adelphi University field hockey and men’s lacrosse teams recently teamed up to spread warmth for the less fortunate. 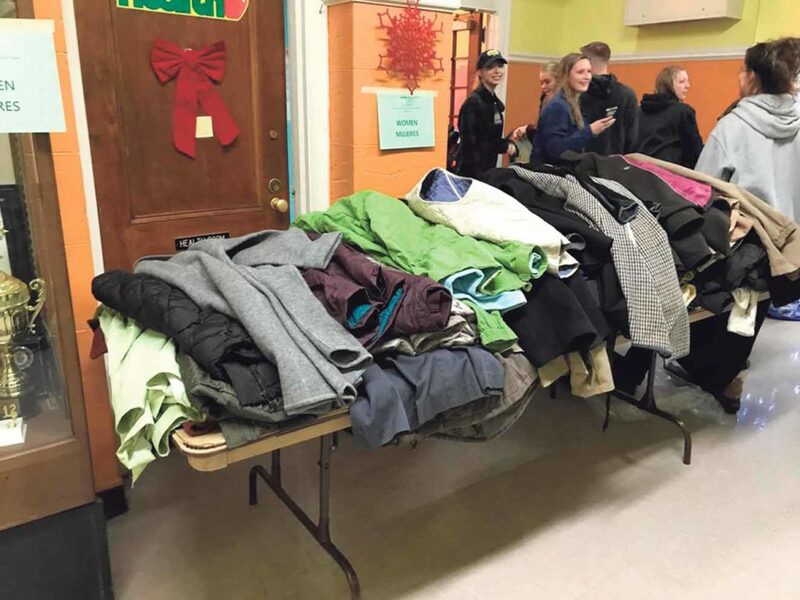 In an effort orchestrated by seniors Jamie Ahrens and Joseph LaBarbera, and Adelphi professor Cynthia A. Proscia, the Panthers and local nonprofit Garden Vines linked up to collect coats and other winter clothing for those in need. The men’s lacrosse program began its philanthropic work with Garden Vines this fall, helping to cultivate, create and harvest community gardens at the Barack Obama and Jackson Main elementary schools in Hempstead, having built a relationship with Proscia—the organization’s co-founder—a clinical assistant professor in the exercise science, health studies, physical education and sport management department at Adelphi. Meanwhile, Ahrens was looking to organize winter philanthropic work on campus for the third straight year, as she and her field hockey team, along with the Adelphi volleyball program, had organized efforts for “Project Coats” to bring winter clothes to under-served communities in the New York City area in each of the past two years. After a little talking, and a little brainstorming, they made a perfect match. Some of the items collected by Panthers athletes during the clothing drive. The teams then traveled to Jackson Main Elementary in Hempstead to distribute all that they had collected over the past few weeks. 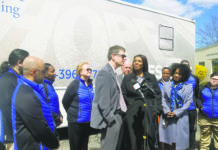 In addition to more than 200 coats, they also gave out gloves, hats, boots and scarves to students, their families and others who arrived from the community. “The community was so grateful, and the students were ecstatic. 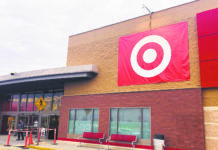 We were thrilled to be able to make a difference in people’s lives this winter,” Ahrens said.